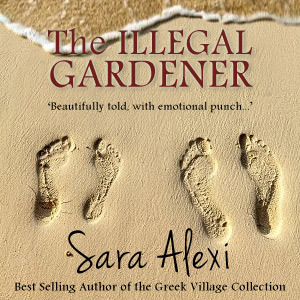 An audio version of The Illegal Gardener is now available on Audible.com. So now you can now be transported to a world of sunshine as you drive, run, walk, soak in the bath or where ever you please. Happy listening. So excited, can’t wait to read. Thank you, Sara. Will review shortly. Thank you, Sara, for the gift of a free copy of ‘A Handful of Pebbles’ which has been sent to my Kindle via Amazon this evening. I look forward to reading and enjoying all your books !! Thank you, ordered and waiting. Who will return this time? I get very fond of your characters! Have just finished the audiobook and loved it. Please use the same actress for future books as she is the best I have heard. Hope all your books will be available in this format soon. I agree, she is great isn’t she. I am hoping she will do all the audios.